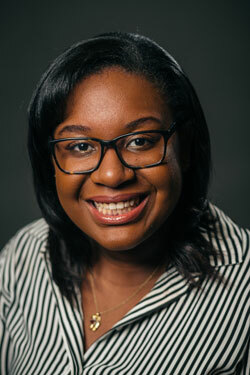 NLGJA is excited to announce the newest addition to the NLGJA Staff, Sachelle Brooks. She will fill the role of Administrative Assistant with a focus on member outreach. She is a recent graduate from Fairleigh Dickinson University at Madison, NJ, where she pursued a major in Communications and minors in Public Relations and Political Communications. She continues to pursue a career in public relations specialized in crisis management. During her time as an intern, she aided in communication efforts for New Ways Atlanta, the National Convention & LGBT Media Summit, the Excellence in Journalism Awards and weekly newsletter articles. Brooks attended and worked the New York Benefit: Headlines & Headliners this March. You can reach Sachelle Brooks at the NLGJA National office (202) 588-9888 or Sachelle@nlgja.org.